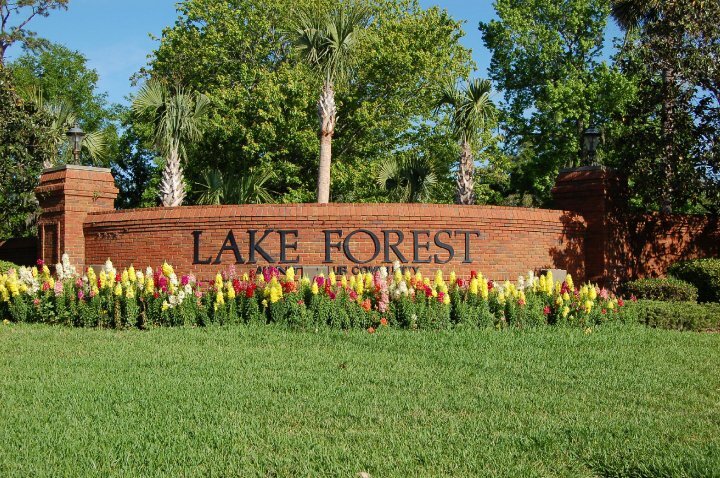 There are quaint cul-de-sac and quiet side-walked streets that lead to the private amenities of the 9000 sf lake front Clubhouse, where you can enjoy the junior Olympic pool, fitness center, tennis and basketball courts, or the tranquil pleasures of reading a book on the shores of your private beach. Nature has graced every home with glorious surroundings of towering pines, elegant oaks, and breathtaking views of the seemingly endless 70-acre lake. An impressive waterscaped 24-hour manned gatehouse entrance protects the privacy of this extraordinary community. It’s an atmosphere of serenity and beauty for all, representing the area’s finest builders. Some vacant lots are still available.